Every year we invite two local organisations to become Associate Companies of the Bush Theatre. Bush Community Associate Companies form a long-term, collaborative, creative relationship with the Bush Theatre and are given the same resource support and status as Associate Artists. The Bush Theatre, alongside Lead Artists chosen by the companies, will develop a programme of regular artistic interventions and activities with these groups which will lead to a centrepiece project performed at the theatre. Our Associate Companies for 2018 are This New Ground Collective, led by Spare Tyre and The Neighbourhood Company, led by Artist Molly Taylor. Our Associate Companies for 2017 were Nubian Life, who worked with Cressida Brown, and Shepherd’s Bush Families Project, who worked with Tangled Feet. Working with the lead artists the Bush worked with Nubian Life and Shepherd’s Bush Families Project over a period of 6 months leading towards one centrepiece project at the end of the process. They were invited to events at the Bush Theatre and other cultural institutions for shows, events, and trips, allowing us to develop creative partnerships and deeper understanding. The Associate Companies, together with their lead artist, defined the artistic form they wished their centrepiece project to take. Each company spent a week in the building creating their unique finale. 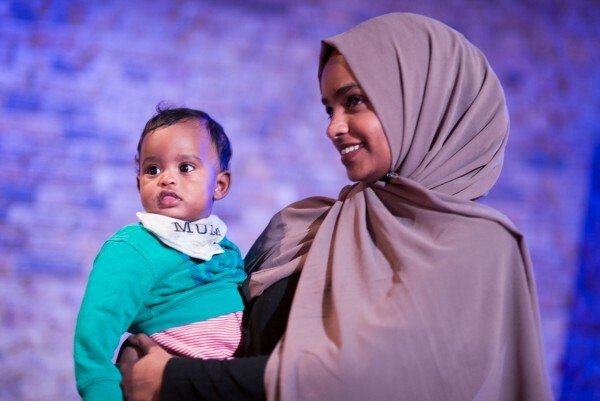 You can read about and watch videos from each project here: Nubian Life and Shepherd’s Bush Families Project. A summary of the project evaluation is available to download below. If you have any questions about the project or wish to read the full report please email [email protected]. The Community Associate Companies at the Bush Theatre are kindly sponsored by the Paul Hamlyn Foundation.